From the filmmakers that brought you the everything is awesome "The LEGO Movie" comes a new animated film that is well-written, full of pop culture references, fun-filled, jam-packed with action scenes, and most important of all, full of awesomeness rolled into one, "The LEGO Batman Movie" is the perfect animation treat for all LEGO fans, DC Comics fans, Batman fans, and animated movie fans alike. 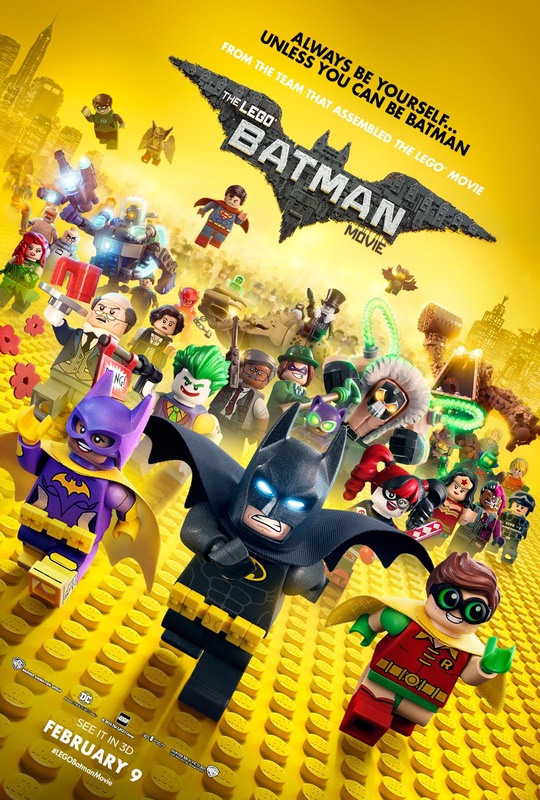 You don't really have to be a fan of Batman to love this movie because watching the "LEGO Batman" standalone film is all you need to love Batman and the whole universe of Gotham City mayhem. All the twists that you never expected to be are perhaps included in this movie! What makes it more fun are all the pop culture references included in this movie. The LEGO Batman movie is full of characters and surprises you wouldn't expected to be included in an animation film like this one. It's much happier to know that the trailer for the LEGO Batman movie does not revealed everything you have to watch on the big screen. If you are satisfied with what you saw on the trailer, there is still so much to reveal when you watch it! We have nothing but good praises about the film, so if you are still hesitant, please do watch! You will surely enjoy this animated film! Be sure to be with friends when you watch it. Overall, we enjoyed all the crazy antics, the puns, the jokes, and all the action-packed adventures of Batman and his team! We give "The LEGO Batman Movie" a 10 out of 10 movie experience for all the major efforts that we loved while watching the film! "The LEGO Batman Movie" is still showing in cinemas! Enjoy the laughs and action adventure!